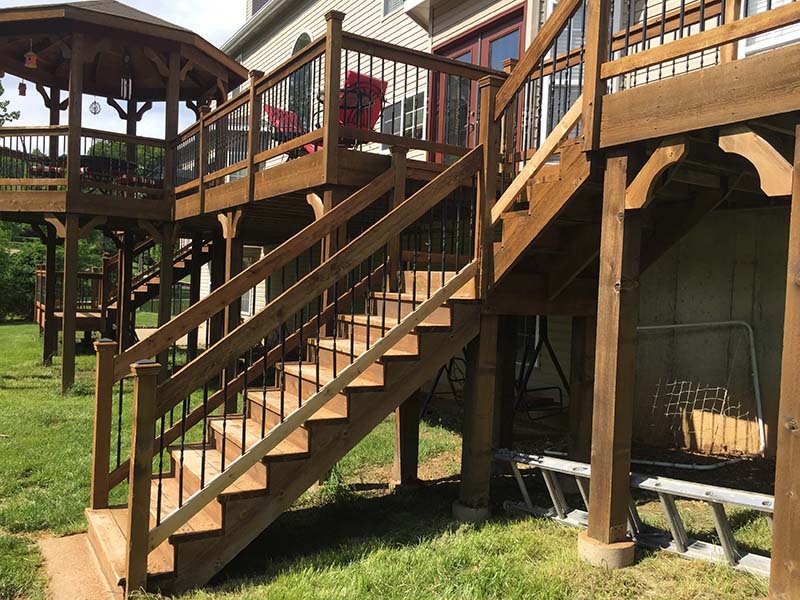 Deck Repairs in the St. Louis Area are needed frequently with our weather. Broken or splintering deck boards are the most common type of deck maintenance required. Since the floor is consistently exposed to the elements, the surface is most likely suffer the effects of wind, rain, snow, ice and sun. 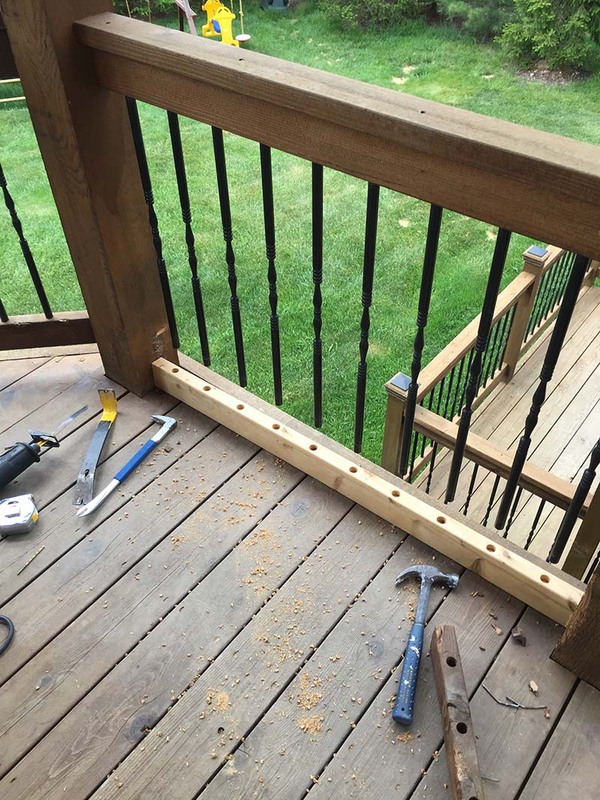 Replacing the decking is relatively easy. It is just a matter of removing the ones that you want to replace and installing the new ones. 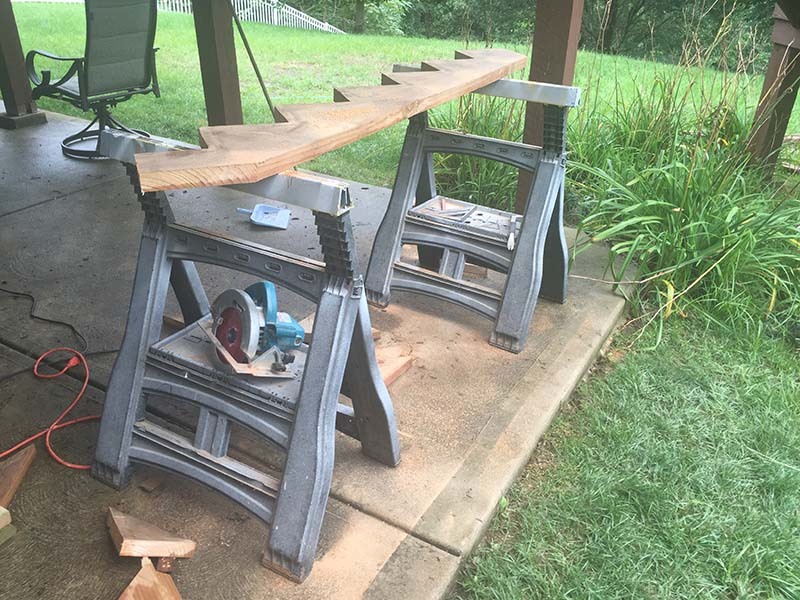 You can even use the old boards as a template when you are cutting the new ones to the correct size. 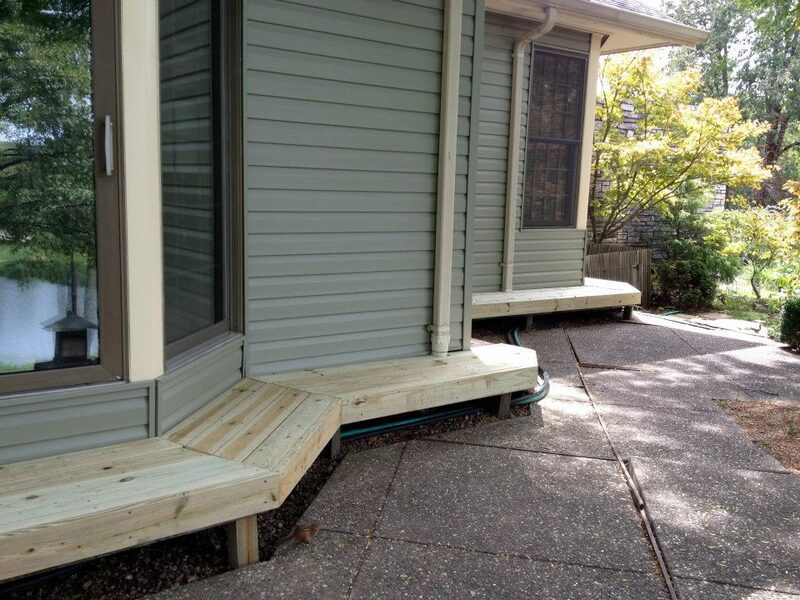 This assures an accurate fit and helps to maintain the original quality and professional appearance your deck. Depending on the climate you live in, dry rot can be a frequent cause of concern and if left untreated, can cause untold structural damage to your decking as well as destroying the boards. Clear signs of dry rot include shrinking boards with dark stains, fungal growth and a damp, musty odor. Dry rot usually occurs because of a moisture source. Untreated boards are especially susceptible to rainfall or other forms of water because they lack a protective coating. A professional survey should be carried out to assess the amount of damage caused, and recommendations will be given on how to resolve the problem. 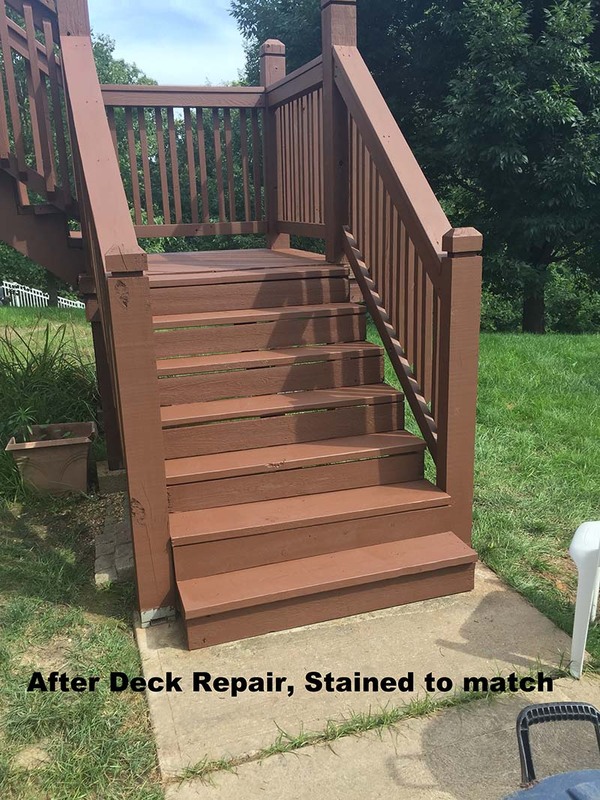 Carter Custom Painting can inspect your deck and give you an estimate for work needed in the St. Louis area. I can’t believe how often homeowners will leave loose nails or screws in place. It usually takes a child piercing exposed skin or a rip in a favorite piece of clothing before suitable repairs are made. Loose or protruding nails are a clear sign that deck repair maintenance is needed. 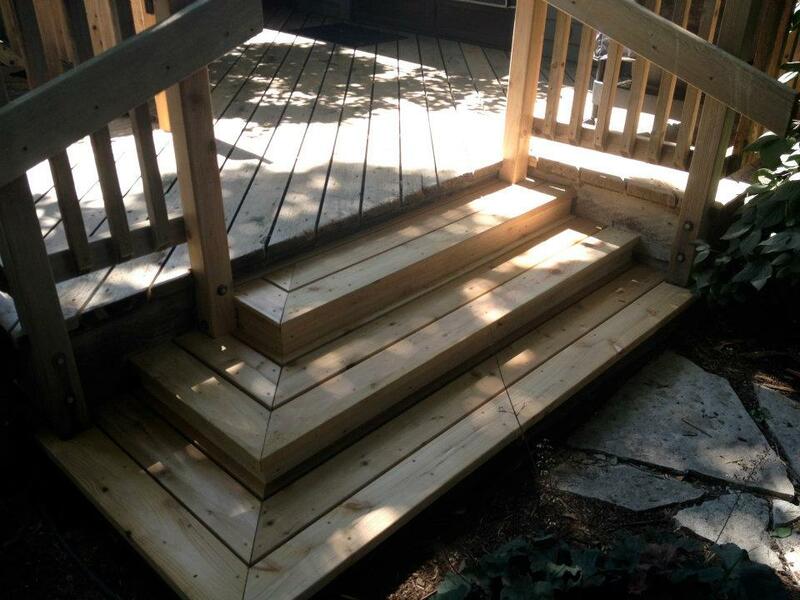 People should be discouraged from using the wooden decking until repairs are made. Call us at 314-757-6973 and we can take care of this for you. 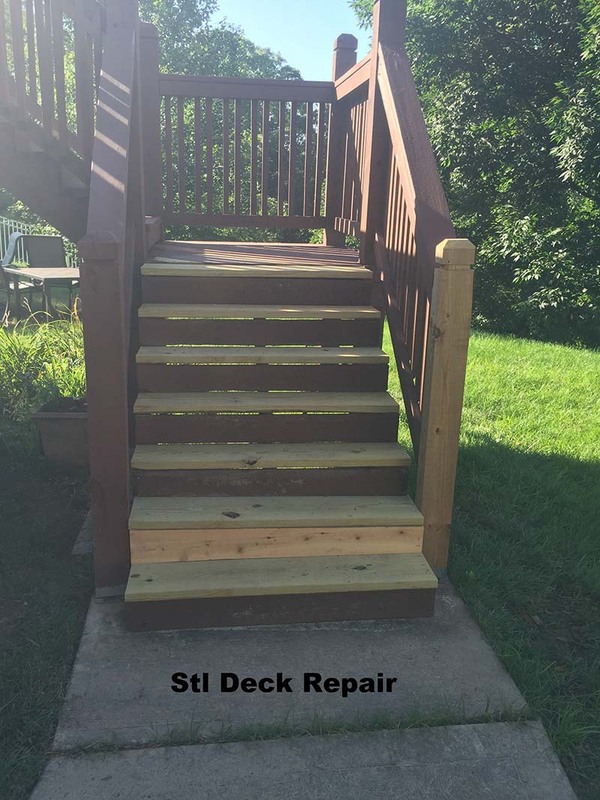 deck repair, deck restoration, deck staining stl, stl contractor, stl deck refinishing. Bookmark. I will right away take hold of your rss.